Ruling Awami League (AL) has hailed BNP’s decision to open legal battles over the alleged rampant irregularities reported during the 11th national election held on Dec 30 last year. Quader was talking to the reporters at AL president’s political office in city’s Dhanmondi on Sunday (Feb 10), state news agency BSS reports. 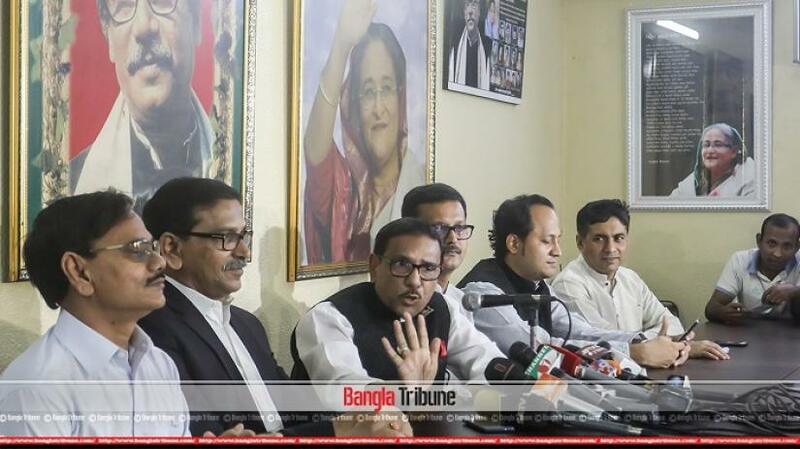 Quader, who is the road transport minister, said BNP has no ability to run any movement. So, complaint and cases are their last resort, he added. Earlier, Quader announced the names AL chairman contenders for the second phase of the fifth Upazila Council elections in 122 upazilas, slated for Mar 18. “We are trying to ensure 33 percent women representation as per the RPO,” he added.